Earlier this week, I debuted the new look of Debrian Travels. While I would not deem this a relaunch, the update is part of a tightening of my blog's brand. Unfortunately, given my status as a hobby blogger, over the last month, the effort took most of the time that I can devote to Debrian Travels. However, before I return to travel posts, I want to touch on why I decided to undertake this update, then get into a little detail of my thought process as I worked on the rebranding and, finally, what that will mean for future content. In today's post, I will focus on the first and third issues. I will briefly mention the second issue since it is interrelated, but I will discuss that matter in more detail in a separate post. Why did I decide to update the brand? I launched Debrian Travels in April 2015 with the intent to focus on "travel experiences and planning" with an emphasis on points and miles. I had the general conception that my target audience was "people like me," but I did not clearly define who "people like me" were. Over time, my content began to meander, in many ways trying to mimic those blogs that catalyzed my interest in points and miles. I found myself venturing into areas that did not align with my strengths. Recently, while reading the classic business book Good to Great by Jim Collins, I learned about the Hedgehog Concept. I started to seriously think about Debrian Travels within that context and soon concluded that I had to update my blog. Not only should I clearly define my target audience, but I need to focus on those topics about which I was most passionate but that were relevant to that audience. I will detail how I arrived at my Hedgehog Concept in my next post. For now, I will simply say that that process crystalized an insight that my efforts to imitate the influential blogs I still read were pulling me away from where I could offer the most value. By reporting the same news that a dozen other websites were reporting, I was consuming time better spent analyzing that news and discussing practical applications aimed at my audience. Even worse, some of my posts were more self-serving than focused on my readers in that I was discussing topics of interest to me but that fell on the periphery of the blog's initial focus. My average reader is a working professional who makes a sufficient income to allow her to travel internationally on a regular basis. She desires rich experiences during her travels that include culture - museums, historic sites, local festivals - as well the actual journey itself - first class airfare or train tickets, luxury hotels - but could not afford as often, if at all, if paying for those experiences out-of-pocket. Ultimately, she wants to optimize her travel "experience value" which seeks a balance between high experience and low cost. To control costs, she may be willing to forego certain experiences or she may offset her expenses by leveraging travel rewards to obtain free or reduced travel products, e.g. airfare or hotel stays. Even if someone does not match all of the above characteristics, I intend to present content in a way that will allow blog visitors that only partially align with the average reader profile to still obtain value from the blog. With that key step complete, I was able to outline the type of content the blog will contain going forward. What will my future content be? As I said earlier, my rebranding is not a wholesale change but rather an effort to refocus so that I can better serve my audience. The mission statement is not a drastic departure from what it might have been had I authored one when I launched the website. One key change is that I will no longer merely report on breaking news unless I have either insight or thoughts on the application of that news. I will also avoid writing about topics that only serve my personal interest - Delta's feud with Qatar Airways, for example - unless these are on-mission. Even the revised website design seeks to adhere to this renewed focus. While formulating my Hedgehog Concept and considering where I could excel, I had to admit that my forte is analysis and not graphic design. I decided to replace the previous graphics and anchor the blog's visual look with photographs I have taken during my travels - I am a far better photographer than graphic artist! 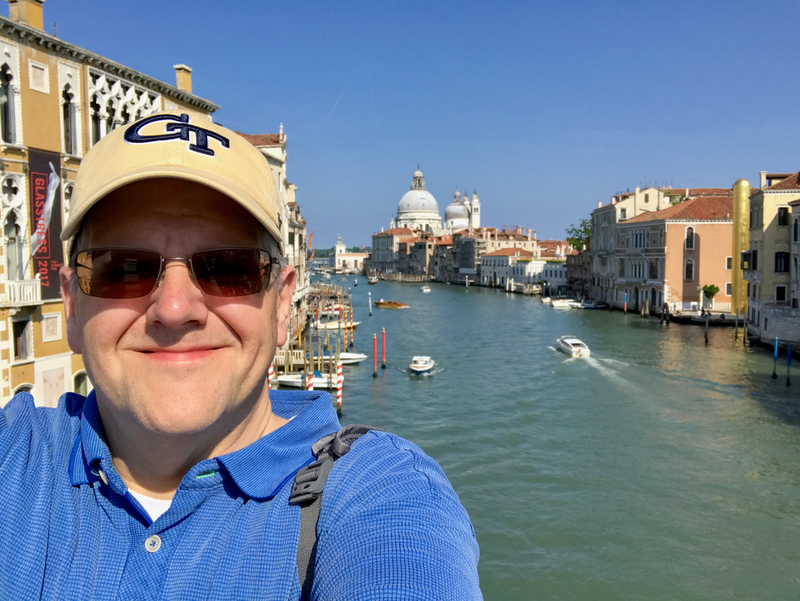 Not only does the cleaner, simpler interface offer a more polished, professional look, the photos highlight the experiences my readers can have, at reasonable cost, by adhering to my "value" travel philosophy. I hope you will come back to learn more about this philosophy!